Simplicity has just released their latest patterns for spring – you can see the full collection here. As this is a spring collection, the offerings are full dresses and children’s clothes, with a few wardrobe patterns thrown in the mix. I predict this pattern will be popular on Pattern Review in the coming months. More patterns from Project Runway contestant Suede. And newly added Leanne Marshall patterns too! The old envelope makes it much harder to see the line drawings. I am a fan of the three-quarter sleeves and the gathering detail. Swoon. The back = love. Also, the model needs different shoes. Somehow it doesn’t matter how many patterns for pretty dresses and ball gowns I have, I can always find room for one more. So, overall I do think this is a pretty good collection – I feel like Simplicity is trying to be a bit more “fashion forward” with some of these designs, but I also feel like they have some good basics in this set. However, I don’t actually think I will be buying many of these patterns because I feel like I have something similar for many of the designs I do like, or I know I wouldn’t wear many of the more unique looking styles. 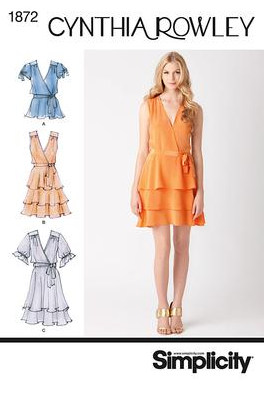 The only pattern I really want to buy is the gown, though I am considering the jacket pattern. So, what does everyone else like? Are you a fan of the ruffly spring gowns? Or does this feel like a mashup of patterns you have seen before? Is there anything you are dying to have, or do you think your pattern stash has got you covered for spring sewing this year? Newsflash – A Memory of Light Release Date Announced!!! Nothing here is particularly calling my name. Because patterns are so expensive here (rarely under £4 each, more often £8+) then I have to really, really love a pattern to consider buying it – or get very lucky with an online sale. I recently added a page on my blog with all my pattern covers and line drawings so that I can see them all together and I was surprised just how many of them are very similar when you just look at the line drawings and ignore the photos/sketches on the front. If we didn't have pattern sales here I wouldn't be buying as many patterns for sure. 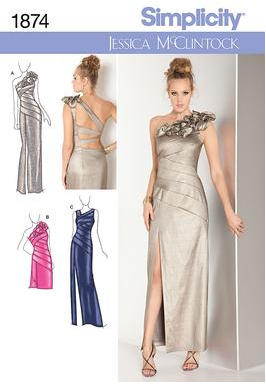 But even with these new patterns, the only one I really want is that last gown pattern. 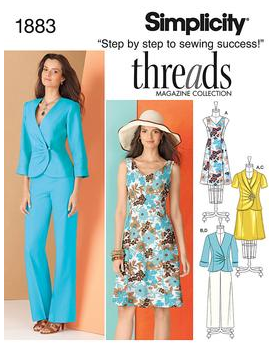 It seems the more sewing I do, the more I realize I have a strong preference for Burda and other magazine patterns. Recently I find myself buying fewer envelope patterns at the sales. Last year I went a bit crazy with increasing my stash (both patterns and fabric) because it was the first year I was really into sewing anything other than skating costumes. I agree with Clio. I haven't been buying many envelope patterns lately. I have so many that I've yet to make… of course! 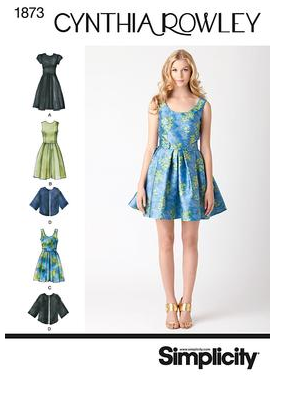 But I do like the Cynthia Rowley pattern with the full skirt. Not sure if I can pull it off, though.